Home › Safe Talk Blog › How is Metal Strength Tested? How is Metal Strength Tested? Have you ever wondered what the strongest metal on earth is? Do they make safes out of it? The truth is that there’s no single category for ‘strongest’ because different metals have different attributes and there are a lot of methods for testing the strength of metal. 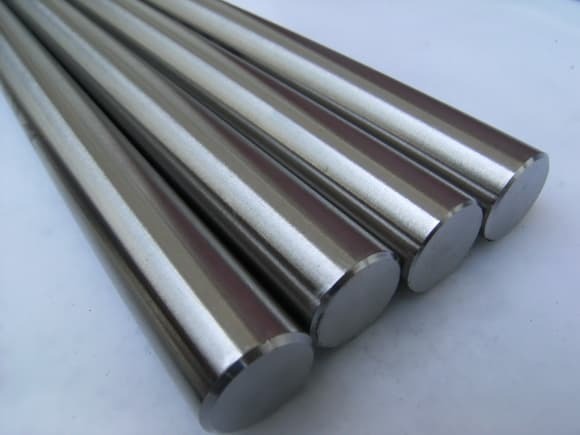 Additionally, almost all metals in modern use are some form of alloy. Here we’ll look at some of the different characteristics of metal, how strength is tested, and why some are used in safes and others are not. Hardness is the basic measurement for testing how resistant a material is to damage from an applied force. While this is vague there are more specific measurements for hardness. More specifically: scratch hardness, rebound hardness, and indentation hardness. Of these, indentation hardness is very pertinent to the construction of safes as it measures the force required to deform a material with directly applied force and a point. Interestingly, indentation hardness has a direct correlation with tensile strength (how much force it takes to deform a material when pulling it apart). For both of these categories, with the exception of graphene and carbon nanotubes, steel is the strongest material available and not coincidentally the mainstay of modern safe manufacturing. Toughness is another word for impact strength and in essence is the measurement of how much force a material can absorb without fracturing. This, also, is very relevant to the construction of safes. You may have already noticed that a lot of fire safes are impact tested in the event that they fall from the 2nd story during a fire. Additionally, a high level of toughness will make it harder to enter a safe through a brute force attack. This test, however, does allow for the deformation of the material. It can bend so long as it doesn’t break and still be very tough. While there are a lot of materials out there that excel in one category of strength there are few like steel (which is an alloy of iron and carbon) that do well in all of the necessary categories. For example, tungsten is incredible hard with a very high yield strength but it is brittle when smashed or bent (and also toxic). Diamond is the hardest of all materials but, of course, very impractical. Titanium has an incredible tensile strength and but is not as hard as many steel alloys. When it comes down to it there really is no better material available for safes besides steel alloys. Fortunately, steel is cheap, there are a number of different varieties of alloys, and many different ways to even further increase its strength. The post How is Metal Strength Tested? appeared first on Gun Safes & Wall Safe Brands for Sale.